Care is something most of us don’t want to think about until the time comes when we need it. It is quite normal not to want to think about this; most of us don’t wish to envisage being too old or frail to look after ourselves properly. Nevertheless, it is advisable you do have some sort of plan in mind to ensure that you have control of what care you do receive rather than making a decision in crisis. 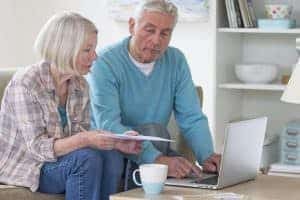 Have you been putting off thinking about or arranging elderly care, whether it’s for you or a loved one? Are you, or do you know a loved one, finding this winter more of a struggle than before? Are friends and family expressing concern that perhaps you do need some support or do you know someone that you are worried about because you can see they need help? You're More Forgetful Than Ever It is natural to be more forgetful as you age, but if it is becoming a real issue and you're finding at times you leave the oven on or you leave the house unlocked, it may be that it has become a more serious problem. 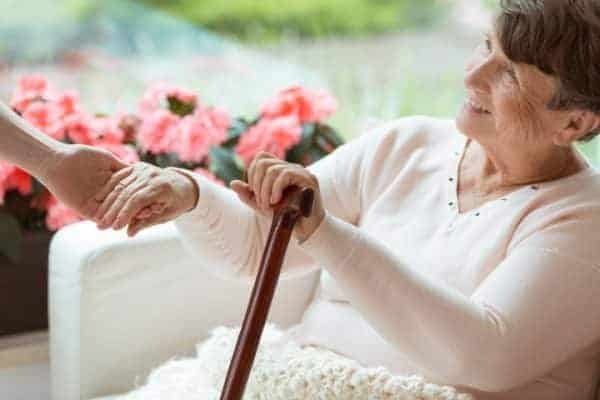 Your Home Is Messy An untidy home may be your choice but if it is untidy because you can't fulfil daily chores because of mobility issues, pain or other problems then that is a different matter. Nutritional Issues Maybe you are struggling to prepare proper meals for yourself because of issues with mobility or dexterity. Personal Hygiene It may be you aren't keeping yourself as clean or well looked after as you used to because of memory problems, mobility or coordination. Falling You may have fallen inside the home a few too many times because of balance issues, or other difficulties. Feeling Different You may feel more moody, irritable or withdrawn. Maybe you feel lonely or isolated but you feel different to the way you felt before. Being Socially Isolated Perhaps you don't leave the house much, you don't see friends and your main company seems to be the TV these days. Health problems You may have health issues that you have not discussed with a doctor. Weight gain or weight loss, problems with toilet habits or digestion, aches and pains. You may be struggling with any or all of the above issues, or you may be a friend or relative of somebody who appears to have these problems. If this is the case, it could be time to arrange care. 2019 is a brand new opportunity to get the quality of life that you deserve. You don’t have to just ‘exist’. You can live, thrive and be happy in this later part of your life. All you need is the right care and support. There are lots of options for care and support including care homes, live-in care, assisted living, home care and home helps. Which type of care is right for you will depend on your needs so the first step is getting a care assessment. You can arrange this very easily. You may also wish to discuss care with your GP, friends and family. You do not need to live a life that is low in quality. Embrace the New Year and reach out for some help and support to get the kind of life you would like. It is accessible to you, and you deserve it. 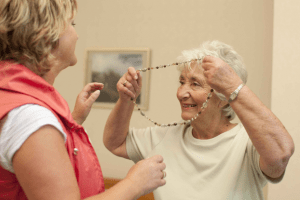 You deserve to be happy and cared for in your later life, the first step is reaching out to arrange care services. Another brilliant Blog Anna. These are a must for anyone who may be considering live in care. What an interesting and informative blog post! This also highlights the importance of checking on elderly neighbours as often they are too scared or stubborn to ask for help. It only takes a few minutes to pop in and check that all is ok and if they are struggling to cope to suggest options to them or their family. This is so important. I agree that it just takes a few minutes to check on a neighbour. We learnt the hard way that waiting till the last minute where care is concerned is led to fewer options and rushed decisions. It’s very tough Jacinta when that happens but it is so common and, of course, understandable that many people don’t want to think about or plan for the time when they might need care. The downside then, as you know, tends to be rushing decisions in a crisis situation and maybe not knowing about or being able to look at all of the available options. Very informative blog post and good points to look out for when considering if someone needs care. Thanks for reading the post Jess and I hope those points are useful for others who might need care for themselves or someone they are close to. It is, of course, also important to avoid rushing the decision about care. Yesterday I heard a really heart-warming (and unusual) story from a lady who helps people declutter their homes in readiness for down-sizing and helps people with the move to a more practical property. She had been paying one of her regular visits to a care home when a man she didn’t know took her to one side and asked if she arranged moves out of a care home and back into a a home of one’s own. The man in question had moved into the care home a year earlier when his wife had died because he had difficulties with mobility and his wife had been his carer. But in the end he realised the decision had been rushed and he really didn’t want or need to be in a care home. 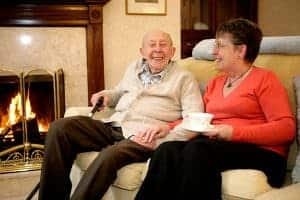 Fortunately the story had a happy ending and he is now living in a bungalow that had already been adapted for a disabled person and has a live-in carer.